Sutton Place is conveniently located in the desirable northwest section of Palm Harbor. Just down the street from Palm Harbor University High School, Sutton Place is a cozy quaint neighborhood comprised of attractive real estate properties. 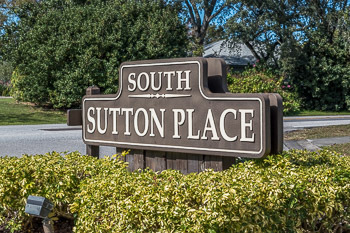 Homes for sale in Sutton Place vary depending on many factors but there are no homeowner association fees to pay in this peaceful subdivision. Sutton Place was built in the late 1980s with three and four bedroom, one and two story single family homes, with garages and pools. Homes in Sutton Place offer generous living space, volume ceilings, roomy kitchens, and a vast variety of custom built-in features. Marvel in the scenery of trees here in Sutton Place giving this community a unique personality. Close to all major shopping, restaurants galore. Visit one of Florida's many beaches and parks in the area in just minutes, choose from Honeymoon Island State Park and Beach, Fred Howard Park and Beach, and Wall Springs Park, just to name a few. Bike, walk, or skate on the Pinellas Trail, or tour and shop in one of several Palm Harbor downtown shopping areas. Selling your Home in Sutton Place? If you are looking for an experienced, licensed agent that has been working in the Palm Harbor community for several years- call us at Lipply Real Estate. Our team will work with you every step of the way to help you make the most out of a possible sale using strategic marketing skills. We are confident with our experience that you could also be another successful client. Call us today to speak with an agent directly or enter your information in the form below to get started!